Educators at every level of instruction—from pre-school to grad school—understand the importance of documentation. If we raise a concern about a student’s recent change in behavior, for example, we’re expected to be able to support our concern with objective data and concise, non-accusatory observations. And while we like to think our administration would support us no matter what, if we don’t have proper documentation in a parent conference, the result is more often than not one with which we won’t be happy. In a situation where it’s our word against a student’s or parent’s word, we lose more than we win. But educators rarely have time to go to the restroom, let alone keep detailed logs of student behavior, student progress, parent contacts, areas of concern, or anything else they’re likely to be asked about in a faculty meeting, parent conference, or evaluation. Another issue we face is documenting certain incidents while they’re still fresh on our minds while maintaining student engagement, or bell-to-bell instruction as it’s sometimes called. Sometimes we need to get the details out of our brains as quickly as possible. But we can’t ask our students to sit idle for several minutes while we find a pen and a piece of paper. If you have to do something more than a couple of times, you should consider automating the process. In some cases, documentation might happen a few times a day, so it’s definitely something we should consider for automation. So, let’s get started. For this setup, we’re going to use two iOS apps: Shortcuts (formerly Workflow) and Bear. (TL;DR: You can download my documentation workflow below. Fortunately, incidents that require our attention for documentation can be reduced to a rather simple list, and for those rare occurrences that take you by surprise, you can always use the ubiquitous “Other.” What we do about those incidents can also be culled down into a list; essentially we only have a few things we can do: note the incident for future reference, conference with the student, contact home, ask for some sort of intervention (house team or Guidance), or write a disciplinary referral. Of course, all of these options are editable once you download the shortcut below. Once you’ve finished your documentation in the Workflow dialog boxes, the workflow will prepare the export and send it directly to Bear. 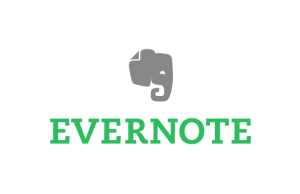 I prefer Bear over other solutions like Evernote (even though I’m a Community member) because of the way tagging works in Bear. 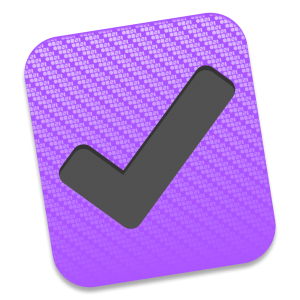 The workflow tags your documentation with the student code you entered in one of the earlier steps. In Bear, you can then easily see all of the documentation you have on a particular student. This is helpful in identifying trends. Bear’s Pro subscription (easily worth twice the price) lets you export a neatly formed PDF of the note directly into your email client for emailing the student’s parents or administration. I’ve been there. I’ve been the teacher in the hot seat across from an irate parent with an administrator between us. “Why is my child failing your class? Why am I just now hearing about this? You should have let me know earlier!” I could see and almost feel the relief in my administrator’s face when I was able to show exact dates and times I attempted to call or email the parent to discuss their student’s progress. 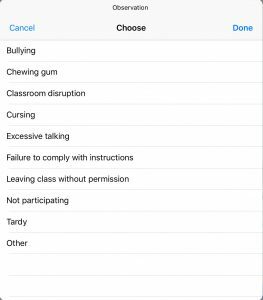 And the multiple times I had to write referrals for the student’s behavior in class, all of which came with their own documented parent contact. Being able to show that I had exercised due diligence freed my administrator to support me in the meeting. Contrary to popular belief, our administrators want to support us when things like this come up. But we have to be able to show we’ve done our part. It’s never comfortable to mediate a battle of words and ideas with nothing to support either side. And many parents are more than willing to escalate matters well above our pay grade. Documentation may seem tedious and unnecessary in the moment. You may never need it. But just in case you do, with an automated workflow like this in place, at least you can make it easier on yourself and your administrators. And ultimately, this works in the students’ favor, as well, which is always a good thing.